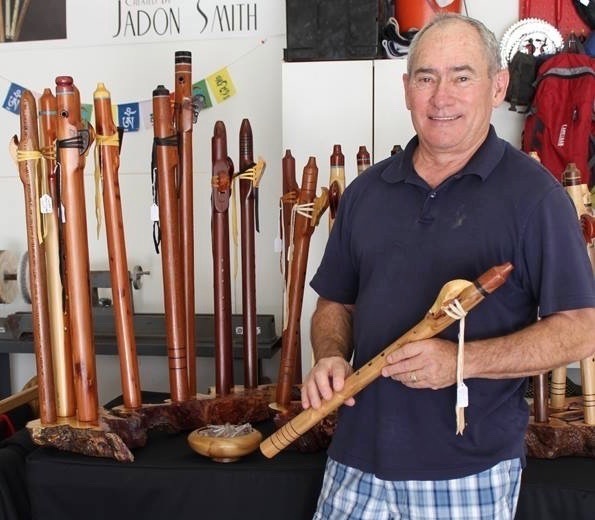 We specialize in making Native American flutes. Each of these hand crafted flutes is unique, and as a result no two flutes are the same. A variety of materials are used and includes both soft and hard woods, exotic woods, as well as a variety of inlay material. The flutes are made in a full range of sizes, or keys, and appeal to the skills of any player. All flutes a standard 6 hole and are tuned to the Pentatonic minor scale. All flutes are priced to insure the best value, given the size and materials used. 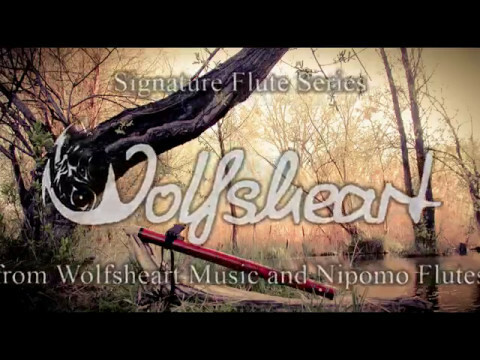 Wolfsheart & Jadon Smith of NIPOMO FLUTES bring you this beautiful new flute series. The flute in the traditional key of F Minor (heart chakra) has a soft, woodsy voice, and is concert tuned to perfection. This piece of art is made from Padouk (the red color symbolizing the heart) with a Buckeye Burl mouthpiece and turquoise rings. The beautifully handcrafted wolf is made of Bacote. The wolf is symbolic of deep connection with instincts and freedom. Every one has the Wolfsheart signature engraved and come with a soft bag. Price: $250 including shipping – distributed international https://www.etsy.com/shop/NipomoFlutes The special traveling Peace drum carries a message of PEACE around the world and will be drawn in deep heart rhythms.